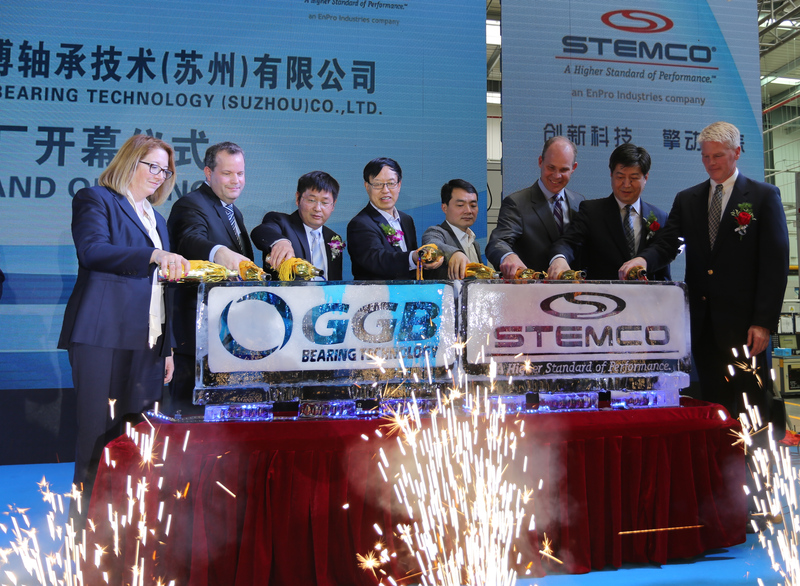 GGB Bearing Technology, a global leader in high performance bearing solutions, recently held the grand opening ceremony for a new manufacturing facility in Suzhou, China. The new plant was built in response to the increased demand for GGB bearing solutions throughout Asia, particularly in China and India. Areas of strongest growth include the automotive, pumps and compressors, construction, agriculture, general industrial and renewable energy markets. "We pride ourselves on being a highly customer-responsive organization," said GGB President Susan Sweeney. "That means strengthening our global footprint with local delivery and specialized product lines in order to meet the unique product and manufacturing challenges of our customers. Building this new plant aligns perfectly with that goal." At 9,200m2, the new facility is roughly twice the size of the company's previous manufacturing plant in China. It will produce a wide range of GGB products, including the metal-polymer, fiber reinforced composite and bushing block product categories. "The market dynamics in Asia can be quite different from those in western markets," explained Mathias Senghaas, Managing Director, GGB Asia. "This new facility will provide us with the infrastructure to meet those unique demands with exceptional technical support, quality and service." The grand opening for the Suzhou facility was held May 11-12, 2016 and included a plant tour, presentations from EnPro and GGB's executive team, networking opportunities and other events. Learn more about GGB, and its global footprint. GGB is the world's leading manufacturer of high performance, self-lubricating and prelubricated bearings with production facilities in the U.S., Germany, France, Brazil, Slovakia and China. The company serves more than 30,000 customers worldwide in a broad spectrum of applications and industries including automotive, fluid power, agricultural and construction equipment, sports and recreation equipment, renewable energy, primary metals and general industrial. Its product offerings include metal-polymer, engineered plastics, fiber reinforced composite, metal bearings and bushing blocks. Also provided are industry-leading R&D and testing capabilities, flexible manufacturing, technical support and a global network of distributors. GGB is an EnPro Industries company www.enproindustries.com. 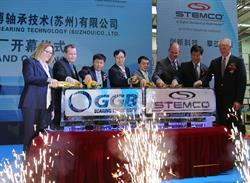 GGB Suzhou Grand Opening with sister company STEMCO.